On February 20, 2018, President Trump issued a memorandum instructing the Attorney General "to dedicate all available resources to … propose for notice and comment a rule banning all devices that turn legal weapons into machineguns." His administration followed through on his wishes, and on December 18, 2018, Acting Attorney General Matthew Whitaker announced that the Department of Justice had amended the regulations of the ATF. The rule was published in the Federal Register on December 26, 2018, and will go into effect 90 days from that date, which is March 26, 2019. The Firearms Policy Coalition (FPC) immediately acted by filing a lawsuit challenging the Trump Administration’s “bump-stock” ban, and Acting Attorney General Matthew Whitaker directly. It is important to note that today’s order is not a final ruling on any claim, and is merely a trial court’s denial of a temporary injunction. And while we had hoped for a quick and positive outcome at the trial court level, we have been and remain committed to litigating these issues as much as it takes to completely resolve the cases and protect Americans from a rogue and growing executive branch, including by petitioning the United States Supreme Court if necessary. The government’s answering brief will be due on March 13, and the appellants’ reply brief will be due on March 15. Oral arguments will be heard by the Court of Appeals on March 22 at 9:30 a.m. 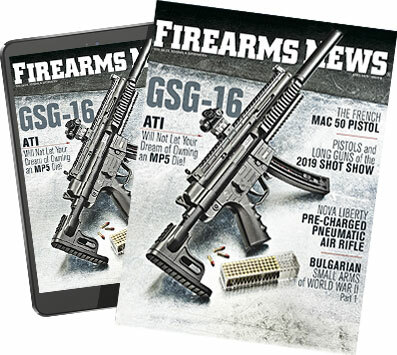 Unless the FPC/FPF appeals result in a temporary injunction or stay of enforcement, the ATF’s Final Rule will take effect on March 26, when the Trump administration will consider the affected devices to be illegal “machinguns” and carry severe criminal penalties including large fines and up to ten years in federal prison. Gun owners who wish to support the costs of litigation and defend the Constitution may contribute at //bit.ly/bumpstocks. 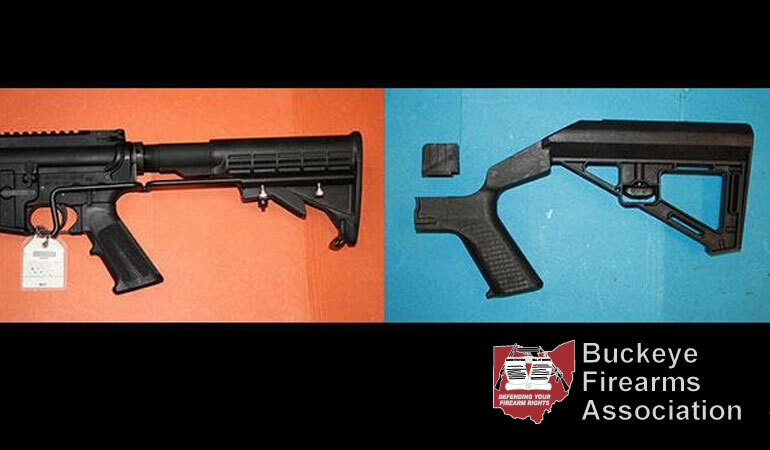 Chad D. Baus served as Buckeye Firearms Association Secretary from 2013-2019. He is co-founder of BFA-PAC, and served as its Vice Chairman for 15 years. He is the editor of BuckeyeFirearms.org, which received the Outdoor Writers of Ohio 2013 Supporting Member Award for Best Website, and is also an NRA-certified firearms instructor.